At the risk of sounding curmudgeonly there’s a lot of noise and not a lot real conversation in the online film community. There is conversation that traverses the line between fandom and criticality and these sites of discourse should be celebrated and championed. Too often though, in this writer’s opinion, the noise is simply rooted in fandom and brings little to the table in terms of really getting to grips with this slippery and fascinating medium. ‘Film twitter’ as it has come to be known for example is a trove of Born on this Days, 17 years since the release ofs and hashthemes that provide a space for re-tweeting and yelling about what is beloved but it’s all on the surface. It’s the era of the fan and while there is zero wrong with that, it would be nice to have more nuance, more depth, more vulnerability. An example of hashthemes that clog up the timeline whilst providing fascinating and often underutilized opportunities for critical investigation is #Shocktober or #31DaysOfHorror which I myself have participated in. I did so because I’m not a horror fan and thought it would provide an opportunity to immerse myself in an unfamiliar and challenging genre. There’s no real aversion to these ideas, they often produce some great criticism. It just has to be really dug out from dusty crates in the corners of cyber video stores. Another example is #Noirvember. None of these themes need explaining do they? In October and November then, ‘film twitter’ goes tag crazy for these hashthemes as fans champion their favourites and dismiss others. You may be able to detect some cynicism here. Distributors heighten this sense following the stealthy exploitation of such crazes. This week sees the release by the BFI on Blu Ray of some classic Noir films just in time for fans to stock up for their month-long marathons. Awaiting fans is Jules Dassin’s London-set Night and the City from 1950, alongside an Otto Preminger set that collects Fallen Angel (1945), Whirlpool (1949) and Where the Sidewalk Ends (1950). These are great films that deserve the finest treatment and it’s completely understandable that they would be released to capitalise on a focus on that most enigmatic and stylized of genres, the Noir film. The commercial side makes total sense. What is simultaneously frustrating however is the sense that this strategy, in the Preminger case particularly, results in films that don’t really fit the mould. 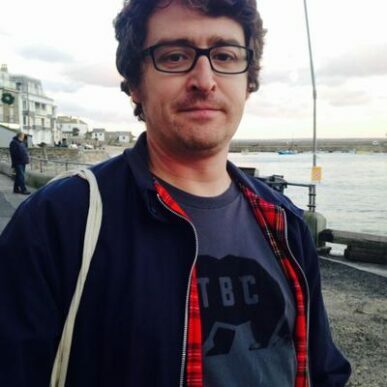 Again in essence this is not a completely negative and is certainly a commercially sensible move, but it does leave the worry that a valid conversation around how these films use Noir tropes and flirt with the genre, and just as importantly how they don’t, will be lost in a shiny and clamorous hashtheme. What is lost in the noise then is the chance to celebrate a filmmaker like Preminger who brings much more to the Noir table than a number of other filmmakers. Let’s start there with the reviews then, for these are some fabulous and intriguing pieces of classic era cinema. Fallen Angel and Whirlpool are Noir outliers really. 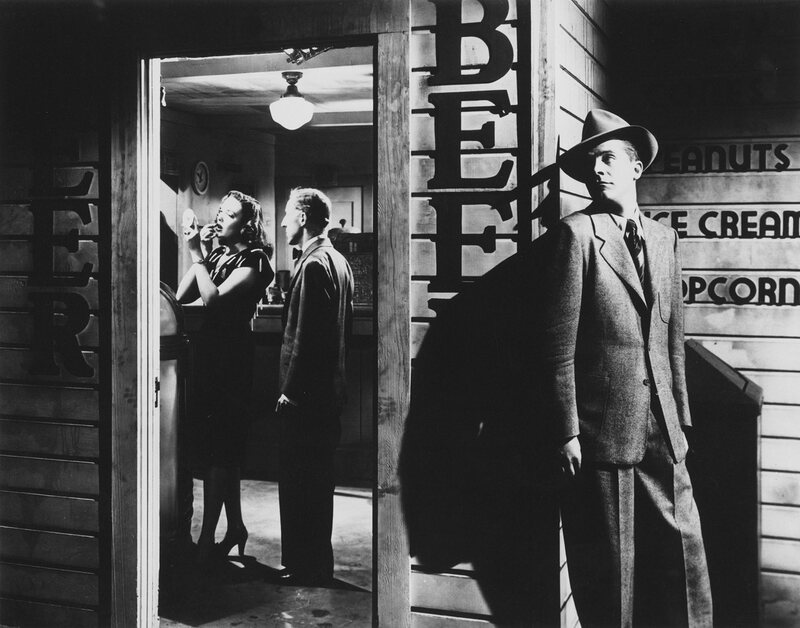 If Noir is taken to its most basic blueprint, that of desperate man and steely dame then Fallen Angel is Noir. It has visual semblances of Noir but it brings psychological issues to the fore through the plot device of a medium and discussions around the paranormal. It actualizes through the narrative that which Noir usually leaves unspoken. There’s also a thrilling domesticity akin to the great British crime dramas of the period just following this, such as It Always Rains on a Sunday or Hell is a City. Families and the politics and bureaucracy of family play pivotal parts here as Dana Andrews desperately tries to crack the icy heart of Linda Darnell’s deliciously provocative Stella who, unlike the femme fatales of a number of core Noirs, ends up dead. Preminger’s morality is often complicated, as if he is working it out on the screen, but it’s always present and leaves few untainted. If Fallen Angel skirts with Noir Whirpool feels even more tenuous in its association with the genre. Here, Gene Tierney (who is always incredible and features in three of the four films released by the BFI reviewed here) plays a struggling woman manipulated by a calculating and ruthless man, through hypnosis, into murder. This is a brilliant psychodrama that verges on horror and similarly to Fallen Angel uses the plot mechanics – hypnosis and psychotherapy here, to discuss psychological issues. It doesn’t feel in either of these films as if anything is hidden in the shadows or repressed. Indeed, both films are about bringing stuff out into view through various methods, not least the police detective mystery that underscores both plots as Andrews in Fallen Angel and Tierney in Whirpool must find some way of proving their innocence. They are framed, a Noir trope, but there’s more at stake in terms of familial and social politics than simply good versus evil, male versus female. The final Preminger in the BFI Blu Ray set, and it has to be said that the transfers are great and all the films look superb, sees Andrews and Tierney on screen together for the film of the trio that feels closest to wearing the Noir tag with ease and comfort. Kicking off with one of the great title cards in Cinema, Where the Sidewalk Ends tells the story of a desperate and bottled up man, a police officer with criminal shadows, who falls for the wrong woman. But Preminger here, from a screenplay by the legendary Ben Hecht (who also wrote Whirlpool) ensures that the reason she is wrong is rooted in something other than the existential binaries that most Noirs call upon. She is ultimately good for Andrews’s desperate detective, but only good for his soul, her impact on him ruins his life and unlike most Noirs his suffering will be more than simply returning to his hovel and walking the earth bruised alone. However, despite the melodrama and thriller turns, Where the Sidewalk Ends conveys the sense of doom that is part of the fabric of Noir and the cast of villains and schemers and a cop who is as dangerous and dirty as anyone whose tail he is chasing are straight out of the Noir playbook. When viewed alongside the other films in this superb set though, other ideas feel pushed to the fore and Preminger’s diverse interests as a filmmaker, as well as his superb technical abilities – his beautiful camera movements are consistently intimate across the films and one kind of man recurs; driven manipulators who are sociopaths incapable of admitting their failings. Maybe they are all Noir after all? Rounding out the BFI’s releases is Dassin’s Night and the City with the ever-manic Richard Widmark in an iconic performance as a low-level criminal seeking to turn a leaf and make a name for himself in the cutthroat world of London wrestling. It’s a great London film, with Dassin making incredible use of locations. This feels like Noir. The film drips with shadows and smoke, regrets and fear, violence and lust. Tierney is present here, this time as Widmark’s downtrodden lover who has put up with his lies one too many times. He is marked from the outset and the film plays as a tragedy, the audience waiting for the inevitable. Unlike Rififi (1955) or Thieves’ Highway (1949), also directed by Dassin, I just can’t give myself over to it and it’s because of Widmark. I can see the greatness of the film but for me he is always so over the top, always at the top of the register that it’s hard to get inside his characters. The final third of the film though, as his character Harry Fabian’s world closes in on him like a vice, is perfectly suited for his unique brand of crazed desperation and defiance, even if in the end it’s a futile passion. Whatever the excuse or reason for bringing these films out as hashtheme season closes in (the Christmas tag is awaited with baited breath) it’s great that the BFI and others like them are constantly presenting classic pieces of cinema in the finest versions available. Let’s hope that the conversation around the films improves alongside the gorgeous digital transfers and special features that we are lucky to be able to experience. 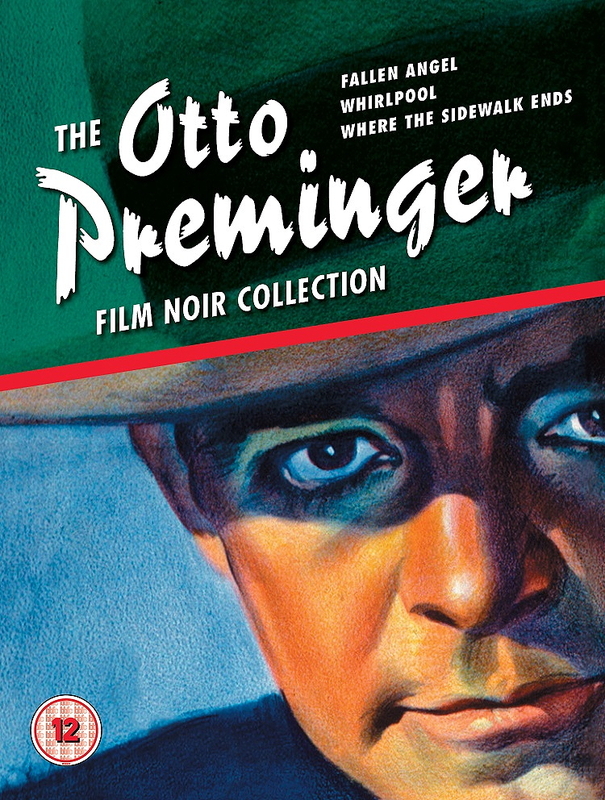 The Otto Preminger Film Noir Collection and Night and the City are available now from the BFI store.